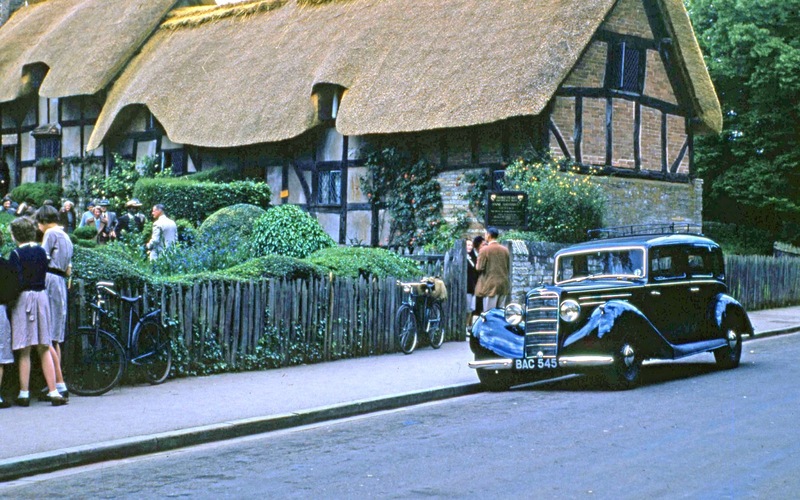 Tourists mill around Anne Hathaway's cottage near Stratford-upon-Avon in the early 1950s. Of course the real interest in this view, scanned from a recently acquired red-bordered Kodachrome slide, is the hefty-looking Hillman Sixteen of 1936/37. Of some 700 built, only a couple are known to survive. Fabulous! Looks quite teutonic from this angle.